Ukhrul, December 20 2012: After decades of enduring poor road connectivity, the denizens of Ningthi village � a hamlet under Kamjong sub-division of Ukhrul district, are overjoyed with successful opening of PMGSY road recently. 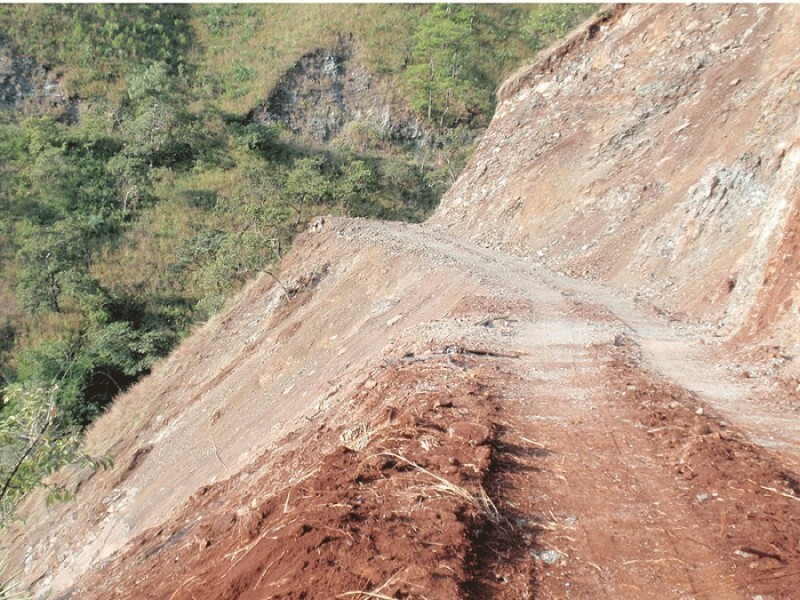 On December 14 last, the PMGSY road opening in the little hamlet, Ningthi, situated about 18 kms from Kamjong sub-divisional headquarters, was successful after encountering a series of difficult terrains. "The Ningthi village, which is located between Phungyar and Kamjong, is now finally connected by proper road. This is first time ever since India attained independent. This is a moment of joy for all of us," said village headman NS Shimray. The 14-km PMGSY road construction (TO2 to Ningthi) started on September 30, 2010, but has been put on hold after facing some litigation. Authorities of the two villages have appealed to the authorities concerned for early settlement of the dispute pending in the Gauhati High Court and pave way for development to take place smoothly. Public of the two villages have also appealed to the concerned department to expedite the process for successful completion of the project. Though the road opening to Ningthi village has been done, many more finishing works are yet to be taken up. The Centrally-sponsored new road, under package no MNO 926, now connects the two villages namely Sampui and Ningthi. The work is being undertaken by an agency under the name of VS Vareiyo. On fervent appeal by the public of the two villages, the road construction work resumed in August last, despite pending legal case in the Gauhati High Court. The pathetic road condition of the village has compelled work agency to take up the road opening, informed the contractor.